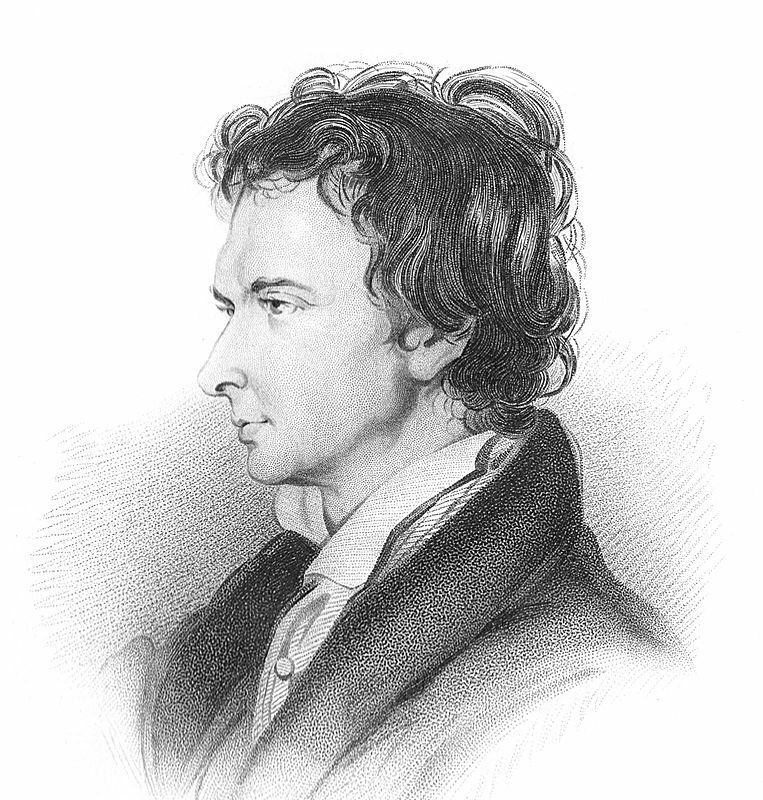 Portrait of William Hazlitt, derived from an 1825 sketch by William Bewick. DREAM MAKERS – Senior Wishes, which fulfills wishes of limited-income seniors, will host its sixth annual Sips, Suds and Sweets fundraiser from 6 to 9 p.m. Thursday in Fox Run at Orchard Park, One Fox Run Lane off California Road. Tickets are $50 and include samples of beer, wine, spirits, appetizers and dessert, plus music by Rockin’ Robin. For tickets, visit seniorwishes.org/events. BEARING UP – Live animals will assist as Mark Carra presents “A Conversation with Theodore Roosevelt” in a program sponsored by the Newstead Historical Society at 7 p.m. Thursday in Newstead Town Hall, 5 Clarence Center Road, Akron. It will begin with refreshments at 6:30. It’s free and open to the public. HOMETOWN HERO – A program honoring Lt. Col. Matt Urban, one of the most decorated soldiers in World War II, on the centennial of his birth will be held by the Alden Historical Society at 7 p.m. Thursday in the Alden Community Center, 13116 Main St., Alden. All are invited. Urban, who was awarded seven Purple Hearts, was born Aug. 25, 1919, in Buffalo. HOW TO DO IT – Photographer Mark Strong, webmaster for Meibohm Fine Arts in East Aurora, will give a presentation on photography and digital art at the meeting of the East Aurora Art Society at 7 p.m. All are welcome. WINNERS WANTED – Eight Boar’s Head hams are the prizes as Niagara Heritage of Hope and Service, home of Historic Holy Trinity, holds its second annual Ham Raffle at 1 p.m. Friday at the Natural Link, 105 Portage Road, Lewiston. Tickets are $5 and are available at the Natural Link, at Gadawski’s Restaurant, 1445 Falls St., Niagara Falls, or by calling Historic Holy Trinity at 299-0799. The Olean High School Sports Boosters offer 27 cash prizes, ranging up to $10,000, in their 35th annual Endowment Fund Raffle, which starts at 7 p.m. Saturday in the Pulaski Club, 1104 N. Union St., Olean. Tickets are $100, which includes four admissions, complimentary food and drink and music by DJ Jack Morton. Tickets are available at the Boosters office in the high school or from Booster committee members. For info, call Char Dwaileebe at 307-3678. BRING YOUR APPETITE – Explore Buffalo kicks off a series of six Downtown Buffalo Food Tours with visits to five restaurants on Chippewa Street at 1:30 p.m. Saturday. Tickets are $52 and include tastings at Frankie Primo’s +39, Prima Pizza Pasta, Local Kitchen + Beer Bar, the Chocolate bar and Soho Buffalo. Reservations must be made by 4:30 p.m. the day before the tour by calling 245-3032 or visiting explorebuffalo.org. Additional tours will be held April 20 and May 4, 11, 18 and 25. HAPPY BIRTHDAY – Lori Repicci, Steve Tasker, Sarah Fonzi, Candace Johnson, Lisa Kane, Jim Szczublewski, Dr. Reg Abraham, Lee Tulumello, Jeff Lester, Bob Galligan, Nancy Johnston, Charles French, Judy Moskal, Evelyn Skelly, Karley Baker, Maureen Starkey, Robert Balbick, Dorothy Dillemuth, Emma Mariani, Lee Tulumello and Peggy Nigrelli. Today’s online edition of Reporters’ Notebook contains items that appear in shorter form in the print edition, due to space limitations.